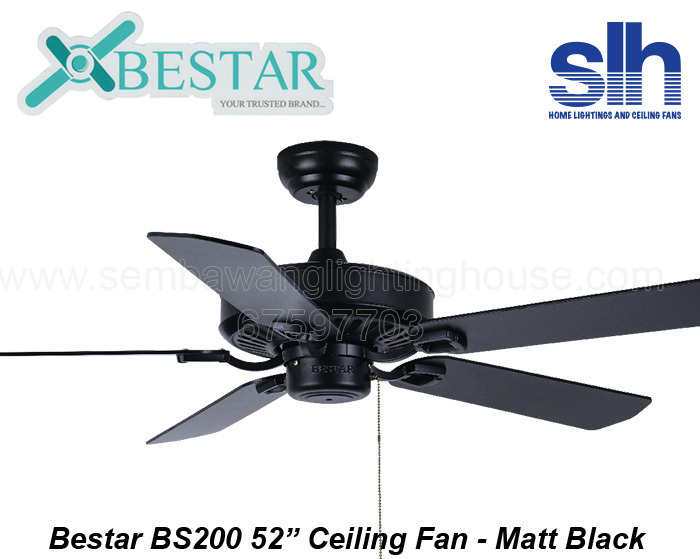 10 year motor warranty. 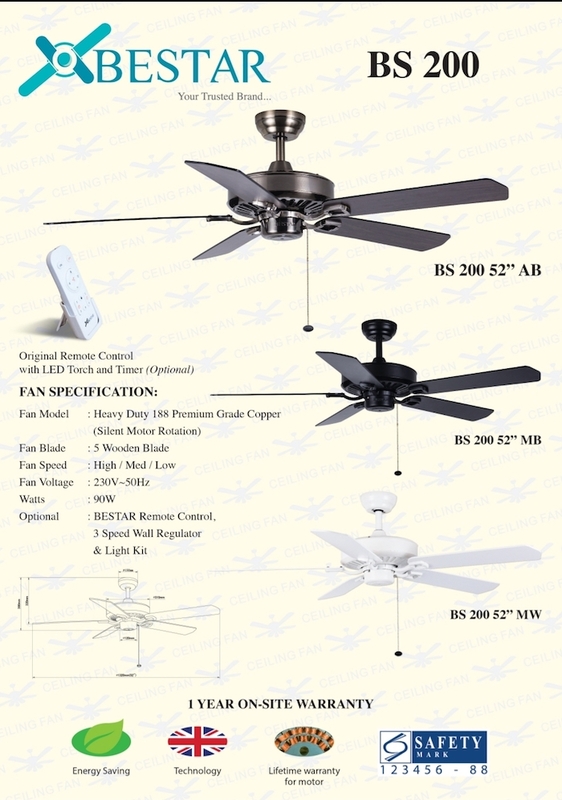 1 year warranty for remote. 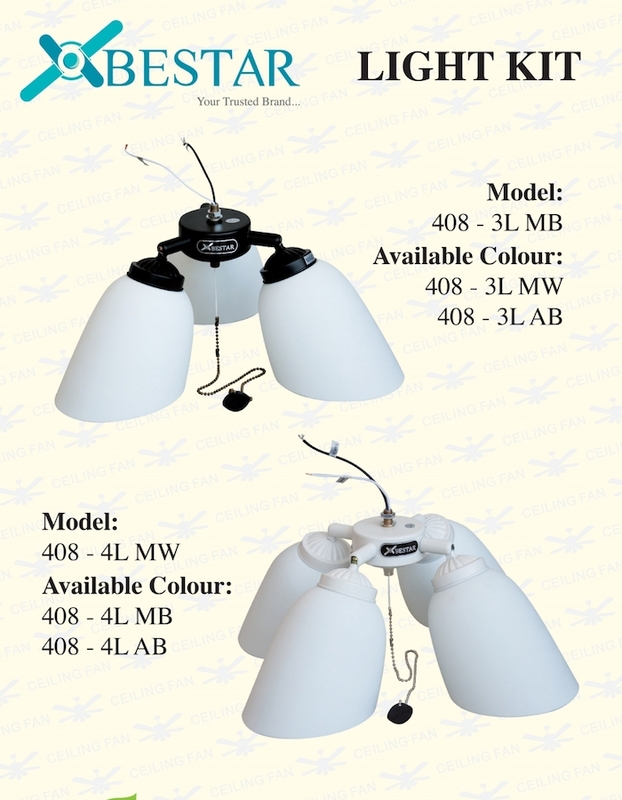 We (Sembawang Lighting) uses original fan accessories (e.g. 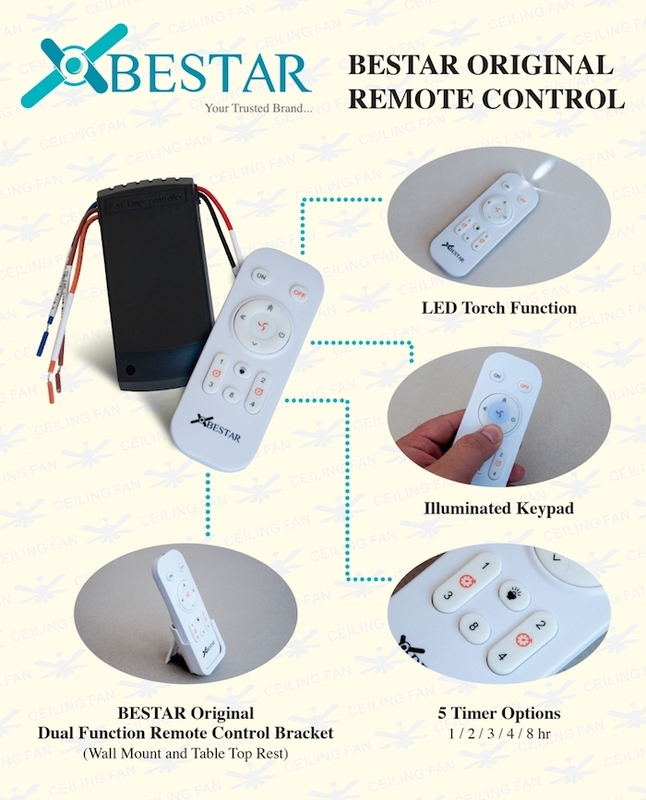 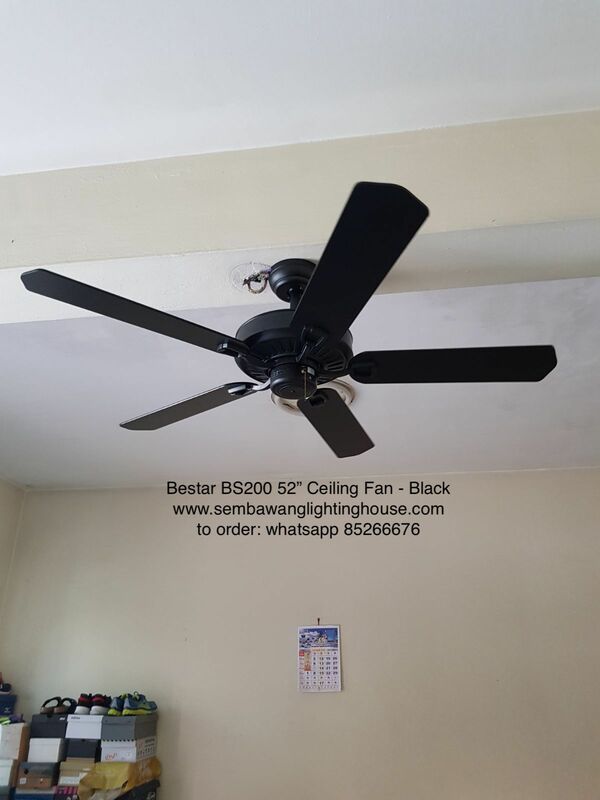 remote control) to ensure maximum performance and local warranty validity by Bestar Singapore.